Arthritis | Marathon Orthotics, Inc. Comfort backed by proven support. Marathon Orthotics, Inc. offers multiple proven and comfortable combinations for treating the arthritic patient. We have found that the arthritic foot is typically more comfortable with a very firm, supportive shell, paired with a very soft top cover. 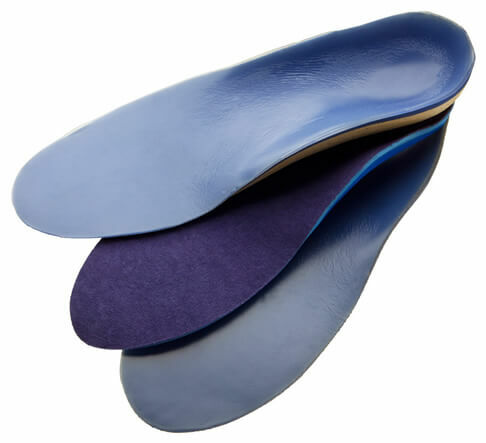 As with any of our accommodative orthotics, if any area in the forefoot needs to be off-loaded with a depression, then we recommend a sulcus or full length shell. The cut-out will be made in the shell material leaving the full thickness and benefits of the mid-layer and the top cover untouched. If there are no forefoot cut-outs to be done, the shell should be MPJ-length to lessen the bulk in the forefoot.